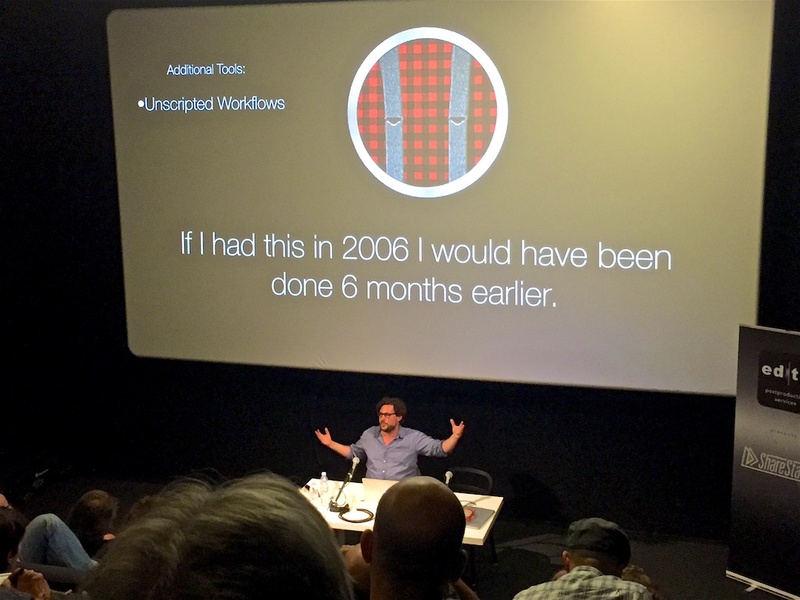 The highlight of our recent Europe trip – Amsterdam for IBC, Geneva for a Metadata Presentation, and Copenhagen to visit with customers -was at the Final Cut Pro X Tour Event organized by Ronny Courtens and Luma Forge during the STV (Denmark) presentation on how they used FCP X for the production of a 69 episode Children’s series: Klaassen. Six and a half minutes into the presentation, up comes this slide! 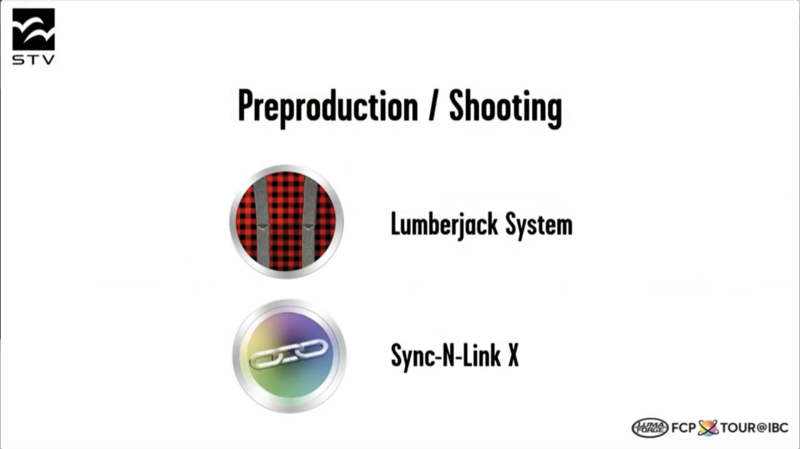 The combination of Lumberjack and Sync-N-Link X proved to be a powerful combination for STV. You can see the whole presentation, and others from the Final Cut Pro X Tour Event at fcp.co, including one (not yet published) one from me showing how Lumberjack System speeds up the preparation of multicam interviews, and creates basic string-out edits across several shoot days (Story Mode). 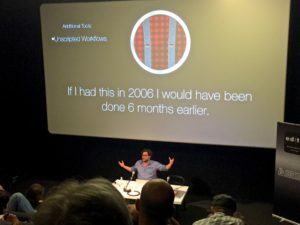 Sorry Sam, Lumberjack wasn’t invented until 2012! 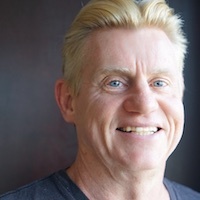 We also spent an extended period in Copenhagen talking with STV and Metronome about how they use our apps, and how we can make them better for them, which is what we need (and want) to hear.